An anonymous quote which goes thus say “being a good person doesn’t depend on your religion, your face or your skin color or your culture, it depends on how good your heart is and how good you treat others”. The introduction and the above quote aptly captured the reinstatement of Professor Suleiman Elias Bogoro as the Executive Secretary of the Tertiary Education Trust Fund (TETfund). His reinstatement by President Muhammadu Buhari last month was received with jubilations in the education sector particularly from ivory towers who have benefited from kind gestures as TETfund boss during his first stint where he evenly shared developmental projects across all the six geopolitical zones in the country which has enhanced tertiary education in the country and promote conducive learning in our higher institutions. It did not come as a surprise however that commendations and congratulatory remarks are coming in torrents from those who should know the imprints Bogoro has left in the sands of time. Napoleon Hill must have seen the future when he said that “Victory belongs to the most persevering” and this without mincing words is what has happened to the reinstated Executive Secretary of TETfund. According to the Speaker of the Zamfara State House of Assembly, Rt Hon Sanusi Garba Rikiji, President Buhari realized the qualities in Bogoro and the changes he brought to TETfund without any sentiments and this is what he believes brought him back to his position. “I believe President Muhammadu Buhari must have realized your contributions, fairness and accountability while managing TETfund, which I believe, is one of the reasons of your reinstatement. It’s really based on merit. May merit continue to override sentiment. The Vice-Chancellor, Federal University, Lafia, Prof. Muhammad Sanusi Liman, had this to say on Professor Bogoro, “For us at Federal University Lafia Nasarawa State, the reinstatement of Prof. Suleiman Elias Bogoro’s as the Executive Secretary TETfund is noteworthy, considering the monumental achievements witnessed in our nation’s higher institutions of learning and especially, the quality of leadership, accountability and prudent management of resources during his first tenure. 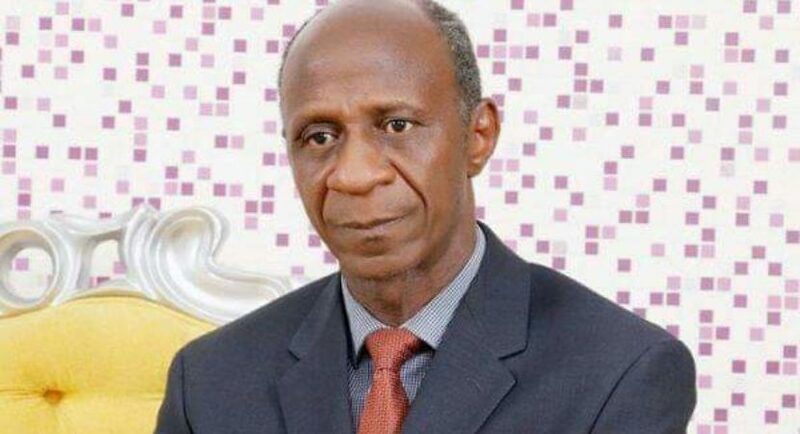 Prof. Bogoro no doubt would return to TETfund with already acquired wealth of experience and competence to justify the confidence reposed in him by President Muhammad Buhari, which lead to his reinstatement”. Commending President Buhari for the return of Prof Bogoro, a group, Intellectuals Without Borders (IWB), said this singular step taken by President Buhari will present a platform for equal opportunity and representation of all the ethnic nationalities in the Nigerian project, geared towards a just an egalitarian society and nation building. It went further to say that Bogoro’s first tenure brought monumental strides to the growth and development of tertiary institutions in Nigeria through the provision of infrastructural and human capital development. “Interestingly, President Muhammad Buhari (GCFR) bringing back Prof Bogoro’s to continue his good works in TETfund is an affirmation of his (Bogoro) intellectual prowess and sagacity which are the qualities of a focused and dynamic leadership in (TETfund),” IWB said. The National President Bauchi State Students Association (NUBASS), Comrade Ibrahim Hashim Abdullahi, said his association is optimistic that Bogoro’s return to TETfund as Executive Secretary is a blessing not only to the education sector, but the country in general. He said, “Between 2014 and 2016 when Prof headed TETfund, over 10,000 academic staff drawn from various higher institutions across the country were sponsored to undergo masters and PhD programmes equipped schools laboratories and built structures in the 71 Federal and State Universities, 51 Federal and States Polytechnics and 61 Federal and State Colleges of Education across the country”… The NUBASS president said Bogoro’s coming back is already a blessing to higher institutions in the country. Civil society groups have also praised the Bogoro’s impact and believed he is back to continue his good work. “We are confident that the second coming of Prof. Bogoro’s will be a blessing to the nation’s tertiary education system. We urge all well-meaning persons to rally round the erudite academic to implement the laudable initiatives he brought to TETfund before is untimely removal”. The group went further to reiterates that Bogoro’s reinstatement portrays the nation as one that rewards integrity, patriotism and competence”. Here are other comments on the erudite professor by his past and present university vice chancellors. “Prof. Suleiman Elias Bogoro’s is truly an educationist who is a round peg in a round hole. His achievements in TETFUND are a testimony of a bright future for our educational sector.” PROF PATRICK OLADIPO AINA, IMMEDIATE PAST VC, EKITI STATE UNIVERSITY (2015). “Prof Bogoro’s belongs to the class of Prof John Knott of Cambridge and Prof. Frank McClintock of MIT in USA. His vision for tertiary institution is worth applauding. I pray that other public office holders will learn from his giant strides in the education sector”. PROF. RA BELLO, VC UNIVERSITY OF LAGOS (2015). “Professor Bogoro’s is a professor with a difference. He represents the change we all voted for. I advise him to continue in that positive light and to also ensure that he is not distracted from his core responsibility” PROF. JOHN OBAFUNWA OLADAPO, LAGOS STATE UNIVERSITY (2015). “I am ‘shocked and amazed that we still have a vision driven man as the executive secretary of TETFUND. He is an upright public servant whom are proud of” PROF. OLUKOYA OGEN, PROVOST ADEYEMI COLLAGE OF EDUCATION (2015). “My view of Professor Bogoro is that he is a symbol of our rebranded Educational system. I can also regard him as one of the modern educational philosophers in Nigeria Today” PROF. ISAAC F. ADEWOLE, FORMER VC UNIVERSITY OF IBADAN AND CURRENT MINISTER OF HEALTH (2015). “The tallest educational structure in LASPOTECH built by TETFUND attests to the seriousness of the management of TETFUND towards enhancing educational development in our tertiary institutions” DR M.K. LADIPO, IMMEDIATE PAST RECTOR, YABA COLLEGE OF TECHNOLOGY (2015). I urge stakeholders in our tertiary education sector to rally round Prof. Suleiman Elias Bogoro as an erudite and versatile international scholar in his quest of taking TETfund to the next level. However, it won’t be out of context to quote the great Aristotle who said, “The high minded man, does not bear grudges, for it is not the .mark of a great soul to remember injuries, but to forget them” and that is Prof Bogoro. While taking solace in the immortal words of former South Africa President, the late Mandiba, Dr Nelson Rohilala Mandela, in his book titled, “The Long Work To Freedom where he said, “In our march towards freedom, we have passed through the valley of shadow of death”. And that is exactly the journey of the TETfund boss while he was away.